Clean and cut the fish into medium pieces. Grind all the above mentioned ingredients to a fine paste. Heat a pan/manchatti, pour the grinded mixture to this, add 1 cup water, salt and slitted green chilly. Allow the mixture to boil, add the fish to the curry along with raw mango. Reduce the flame to medium, cover and cook till the fish becomes soft and gravy turns thick. Remove from fire. Serve hot with rice. Mouthwatering and Tasty Fish Curry. So spicy > Looks superb. 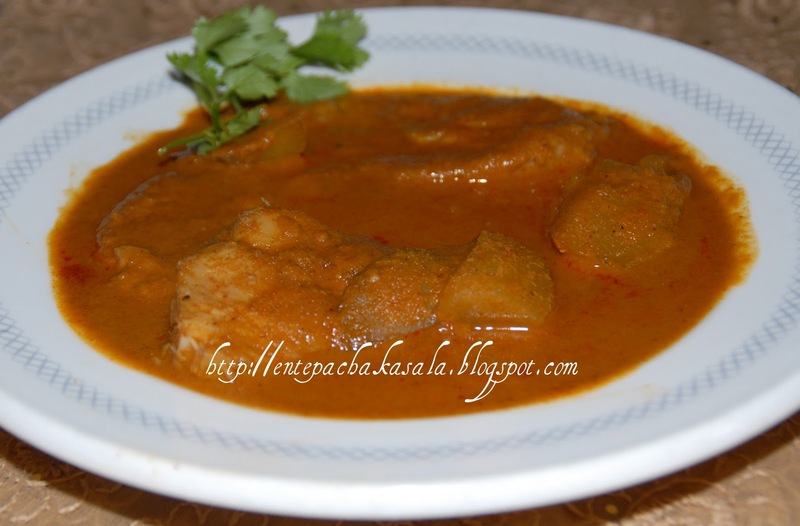 Fish curry looks tempting and yummy. Goan style fish curry kollamallo..Ennelum try cheyyame..Looks good..
lovely fish curry...great colour..i make this but adding fenugreek is new to me...i add it only in kerala fish curry...will try it next time. 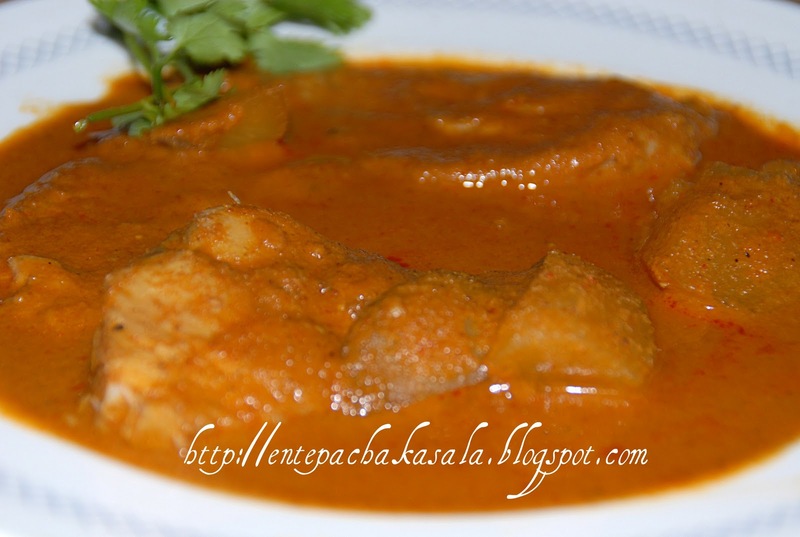 Slurp, fish curry looks soo delicious and spicy..
Kothiyavununee..adipoli fish curry, entha color! !